The new Copper Folding Cane with Glow Grip Handle series by Drive Medical is one of a kind! 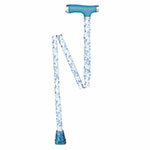 The new Copper Folding Cane with Glow Grip Handle series by Drive Medical is one of a kind! The silicone gel glow grip handle and tip allows these sections of the cane to flow in the dark. This Glow in the Dark Folding Cane is the perfect accessory for any limited mobility user who appreciates having a bit more visibility for safely crossing poorly-lit streets or dark corners. The handle height is fully adjustable and extends anywhere from 33" to 37", allowing individuals to customize the length for optimal use. 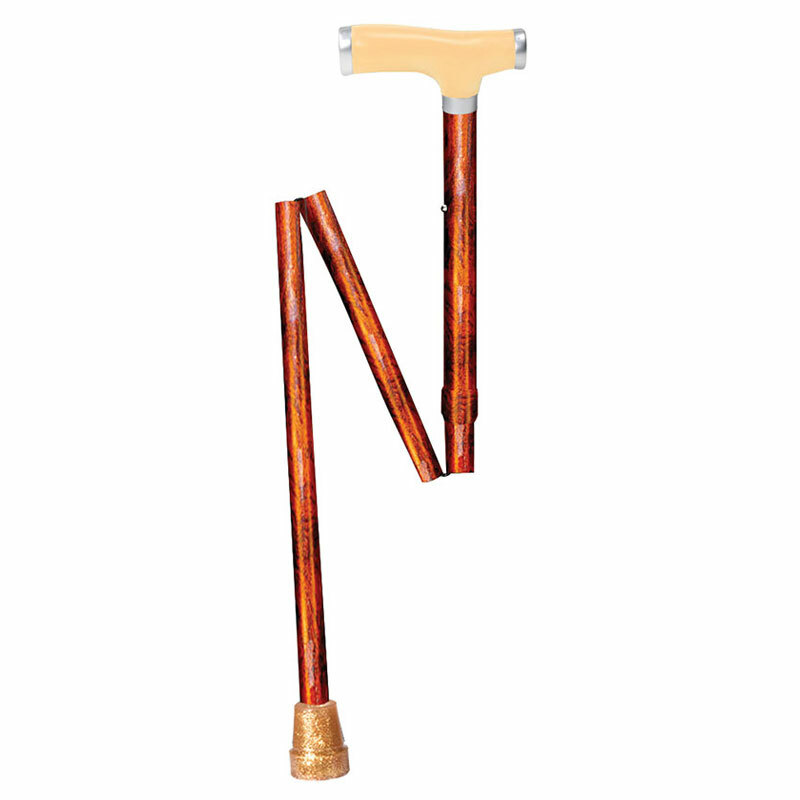 The cane, which is protected by a limited lifetime warranty, has a weight capacity of 300 lbs. and is made from tough, durable 7/8" anodized, extruded aluminum tubing.